Here are some quick and easy painted glass ideas for your Easter or Spring decor. I have painted so many things this month as a member of the Plaid Street Team. I have come to love Folk Art Enamels for painting on non porous surfaces. They are durable when cured. 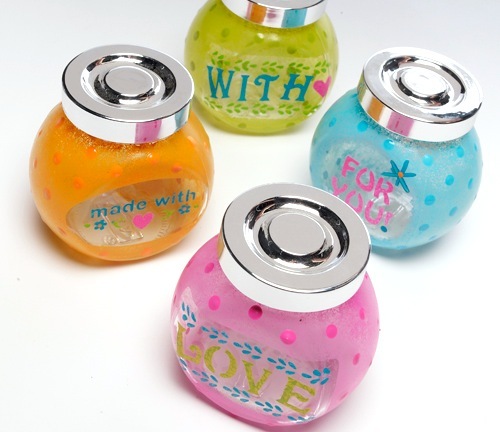 They come in beautiful colors and you can combine them for fun combinations like these jars below. How cute is that? See my Pinterest board for even more Spring ideas and inspiration for using the paints. 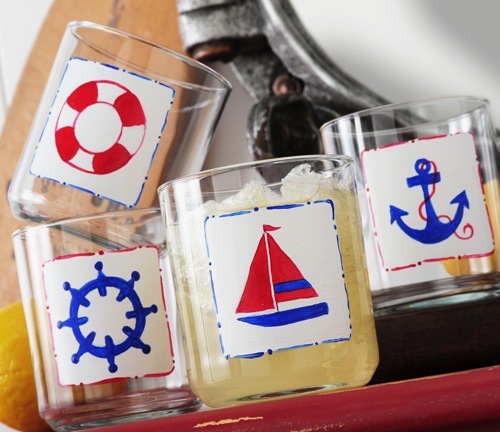 Wouldn’t these be a great favor for your guests at your Easter dinner…or even use them for place cards. 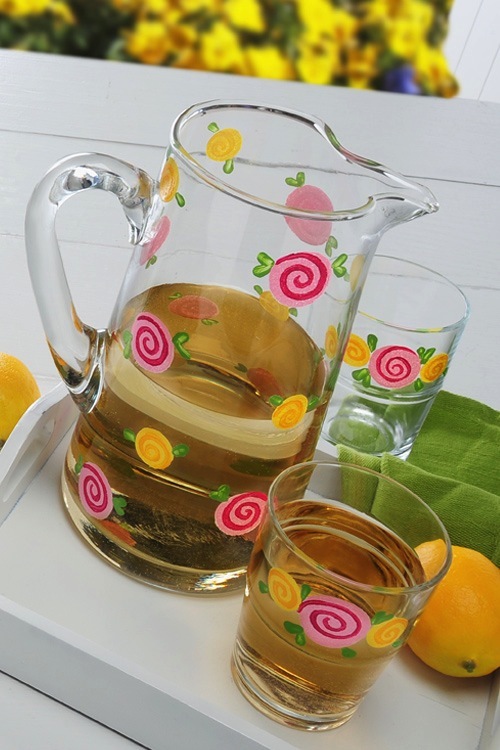 Serve lemonade or juice from this colorful set of glassware. You can quickly create this set with a few strokes. These glasses will brighten up any spring or summer get together. The Folk Art Stencils make this easy. This would be a great service for the 4th of July. Beautiful!! I sure wish I had the talent to paint. My son won’t even let me use his paint by numbers I’m so bad!! ha/ha Pinned & Tweeted!! I love the flower designs. Makes me miss spring even more! I’ve painted a couple of glass items years ago, I love it, but I was always scared to cure them, luckily for me when I first tried it, it was summer, so I “cured” them by letting them sit out in the sun in the car! Ha! But I love the pitcher and the little glass jars, totally cute! Oh my god, it is so beautiful! pinned & tweeted.